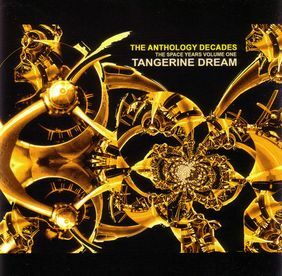 The Anthology Decades is a compilation of older studio material which has been previously unreleased, though some of the tracks seem to be remixed ('tangentized') or alternate versions of some well-known material: Sunset In The Fifth System obviously bases on an excerpt from Alpha Centauri, Exit To Heaven is very similar to Edinburgh Castle, and Landing On 51 essentially overlays Astral Voyager with some new melody lines. On the other hand, official information from the Tangerine Dream Forum state: "Speculations on so-called 'tangentized' material or the use of some 'overwashed' production methods are completely false. They are compositions out of the 70ies and 80s which have been recorded for the first time or have been taken from Edgar's personal sound library." So the listener may make up his own mind... In any way, the album contains more than enough unheard music to be of interest to any TD fan, especially to those who prefer TD's style of the eighties, as most tracks seem to origin from that time. The booklet contains some liner notes by a certain Gideon Mckinnley (publisher); an edited version of these were used by the Eastgate Music Shop to advertise the release. The Eastgate Music Shop about the CD release "This recording out of four TD decades creates memories for those ones who were grown up with the band and their various moves and changes within their history. But it's definitely not just a compilation of formerly released material. During all decades the band performed and composed as a group or did compose material individually which later became part of the TD musical body. The coolness and timelessness within the compositions had always been part of their trademark. A significant part of the band's success is probably the floating character of TD's music, a philosophy which never aimed to become a chapter in the library of hit monsters. Carefully restored and remastered or even newly recorded on the basis of older compositions, this selection of sounds and music will help you to find your own individual path from the present to the past including a return ticket. This is the first album in a row of unreleased material which periodically will be available to fans who love to look back in history to find out about some basement areas of the dream house." According to the booklet, all tracks have been composed and performed by Edgar Froese and compiled by Bianca Froese-Acquaye. Unfortunately, the booklet gives no information about the origin of the compositions at all (but see The Electronic Magic Of Tangerine Dream for further details). 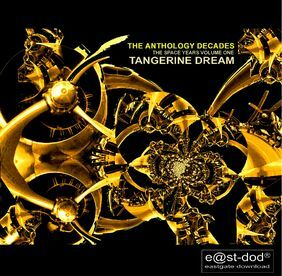 In April 2008 this release became available as MP3 download at the Tangerine Dream Download Shop as well. 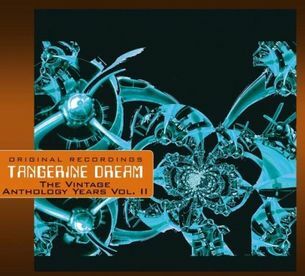 The compilation The Electronic Magic Of Tangerine Dream, released later the same year, contains all tracks of this album (except Boat To China) plus a number of additional tracks, some of them previously unreleased. In September 2009 the album was re-released with different cover design as part of an extensive digipack series (consisting of a total of more than 60 CD and DVD releases) by the Germany based Membran record label. Given the subtitle of the album, The Space Years Vol. 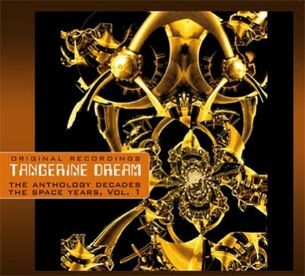 I, this release was planned to be the first of a series titled The Space Years, but no second volume has been released at time of writing, though in late 2009 a second part was announced by the Membran label in their catalog (see left), but then disappeared again.